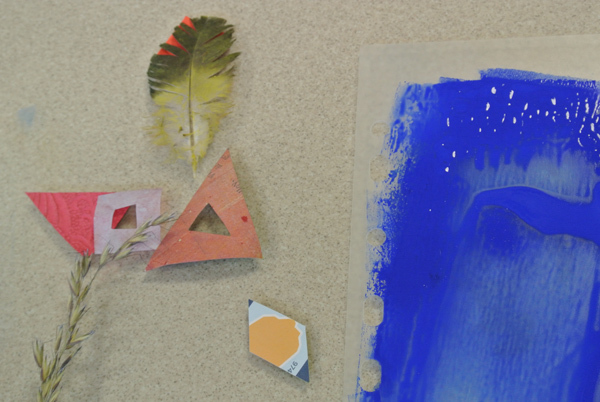 Make mosaics from broken tiles or plates, add some bits of glass paste or cabochons. 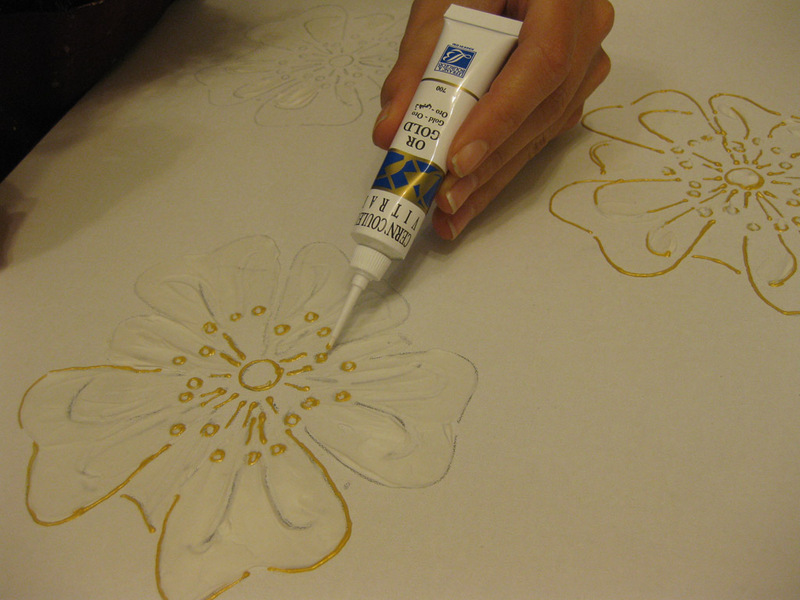 Put more or less tile glue to get a flat surface. 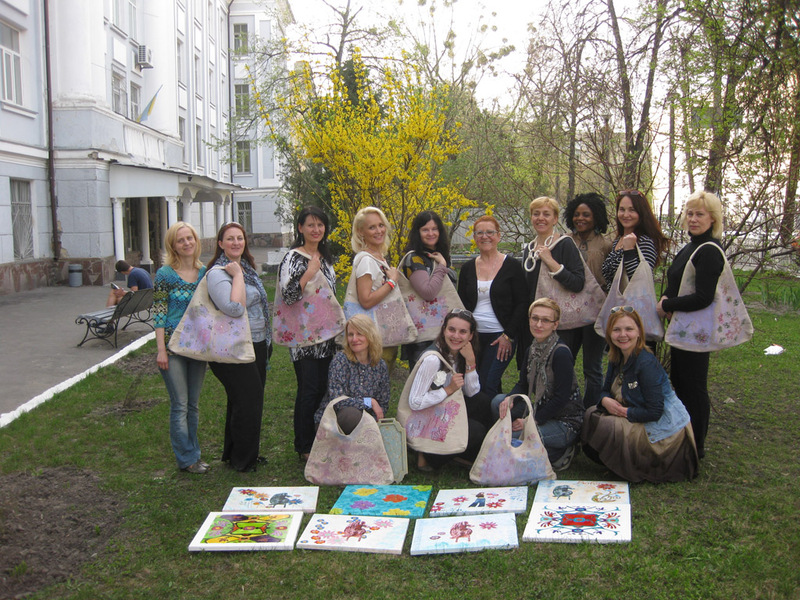 It’s time to celebrate Art and Beauty ! 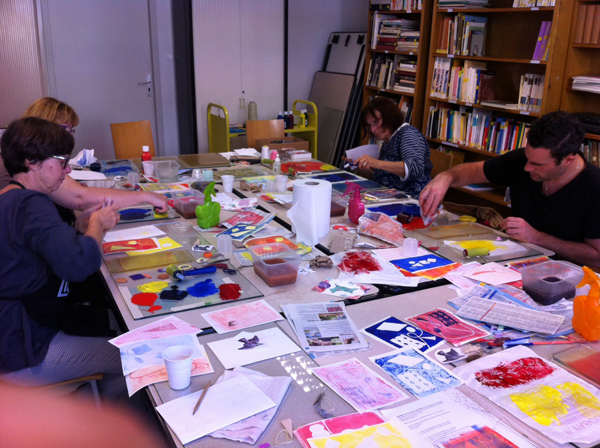 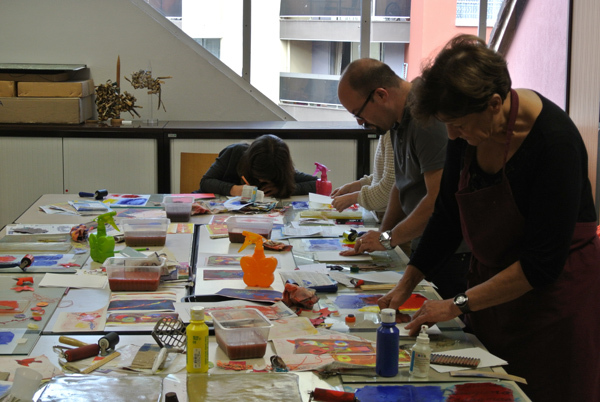 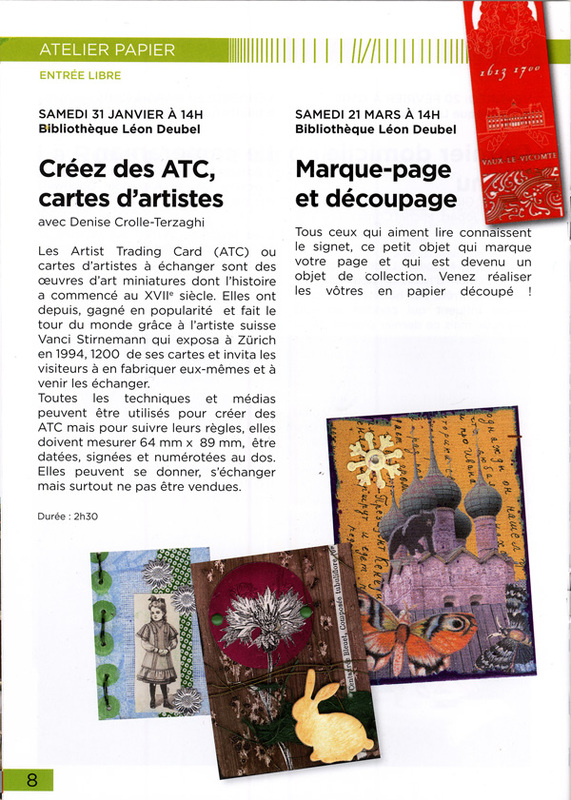 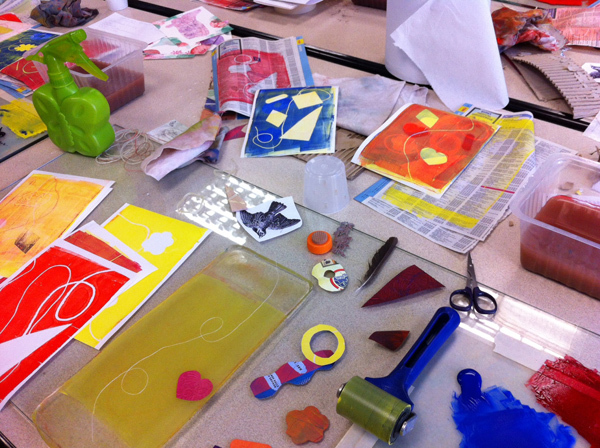 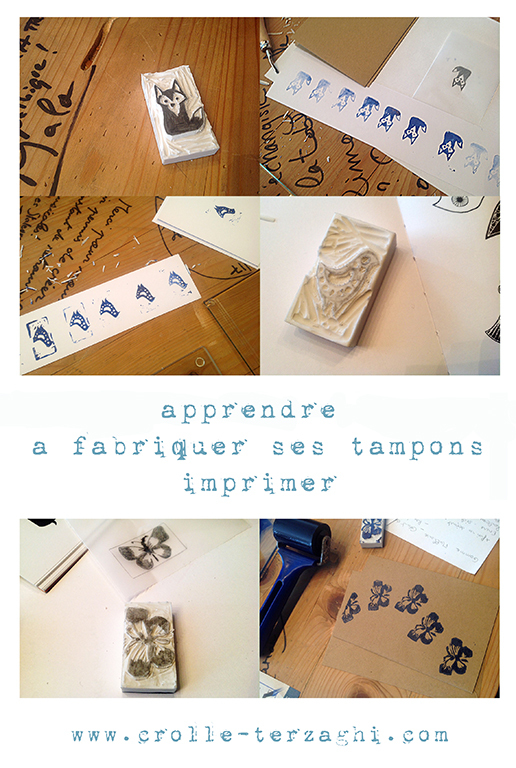 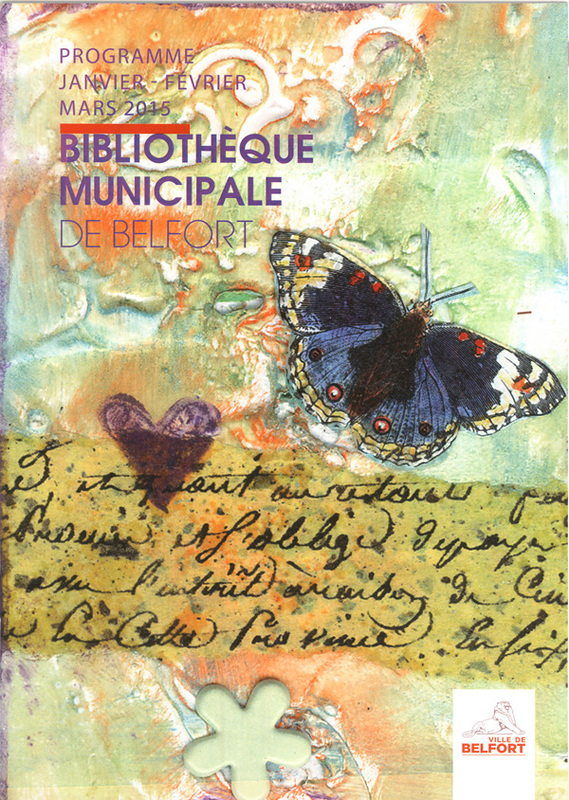 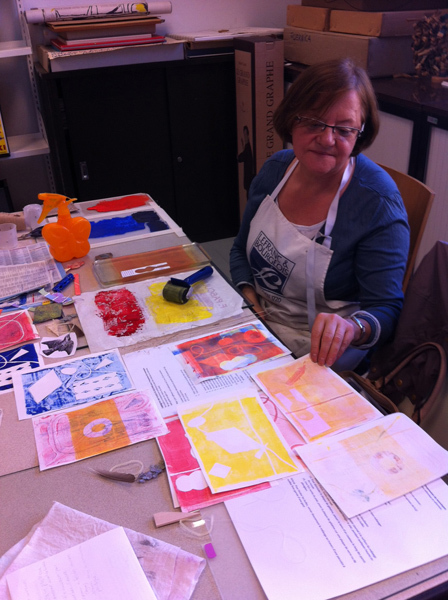 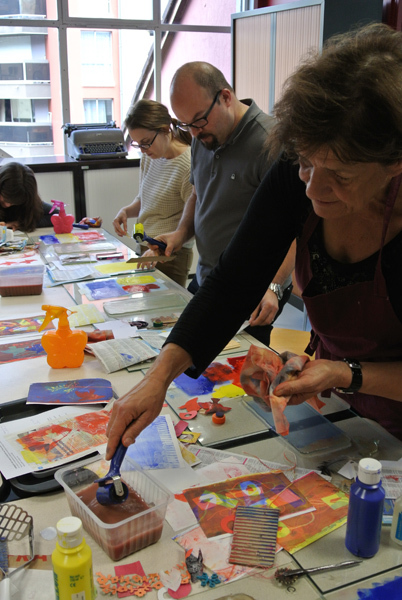 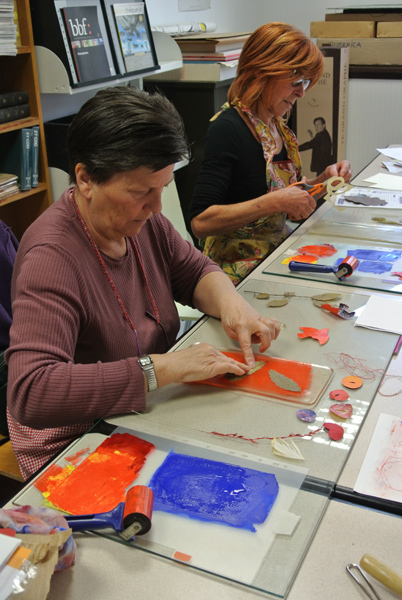 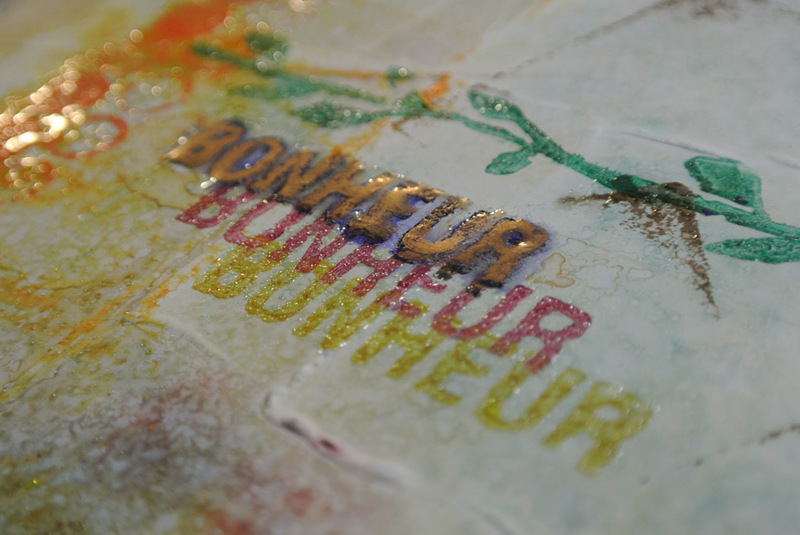 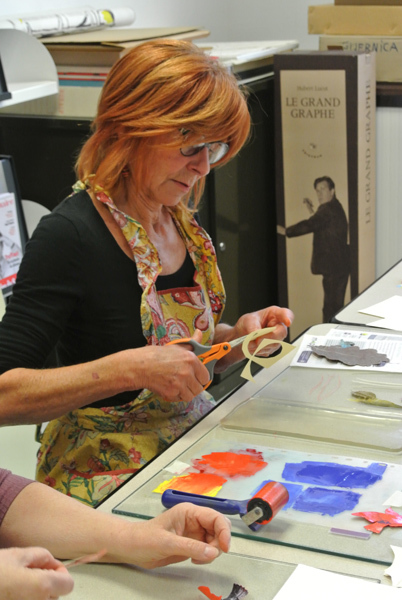 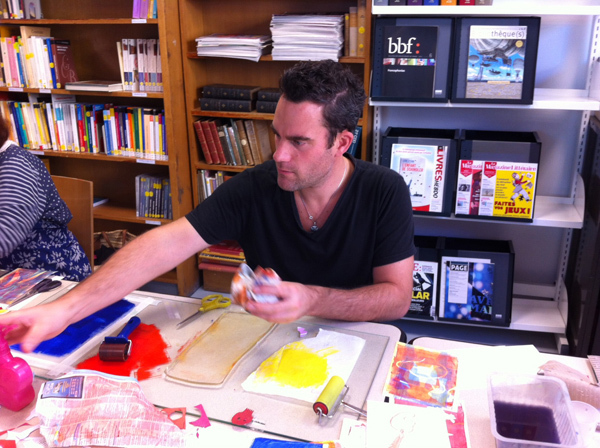 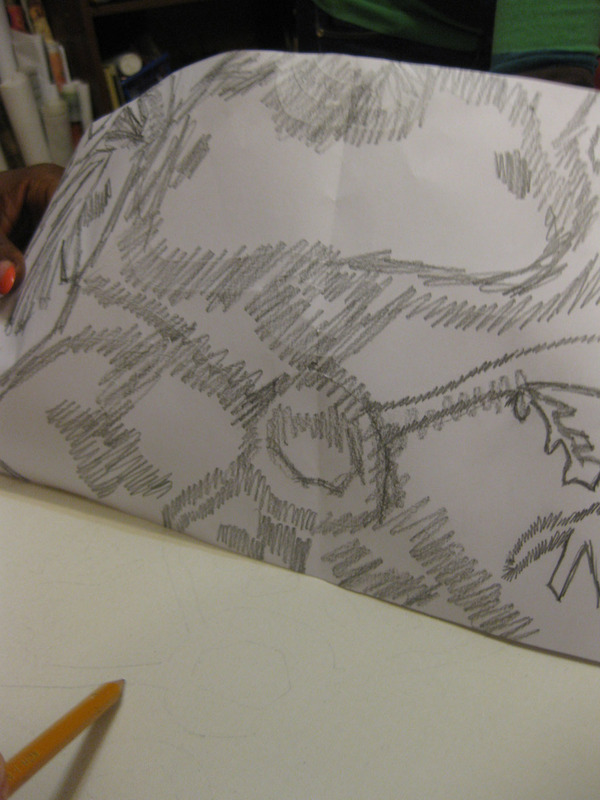 October 2014 : Monotype workshops Belfort 4 A Library. 11 people tried this technique. 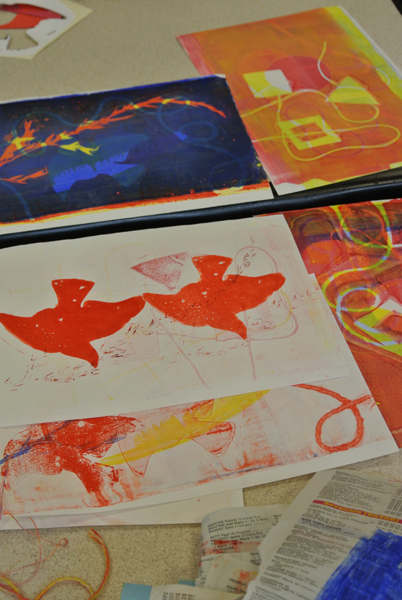 Within a few hours, they were happy to have produced nice prints . 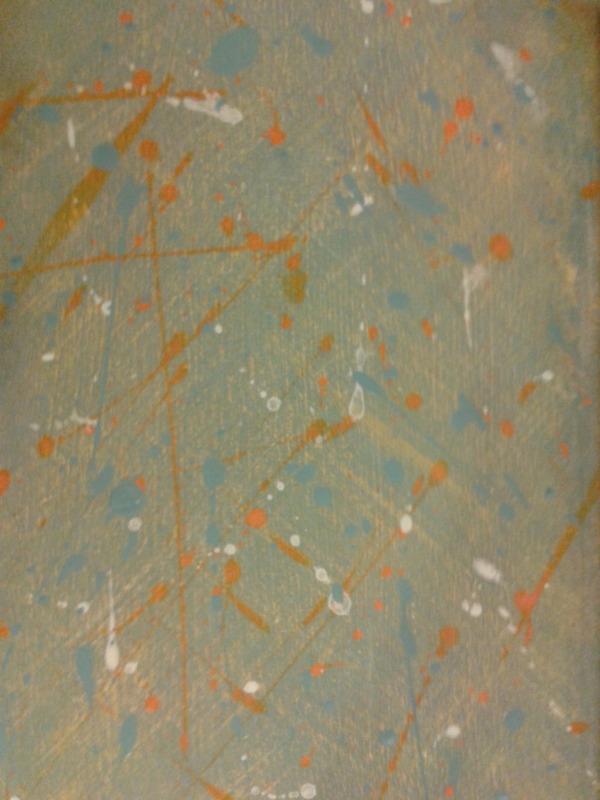 October 7th. 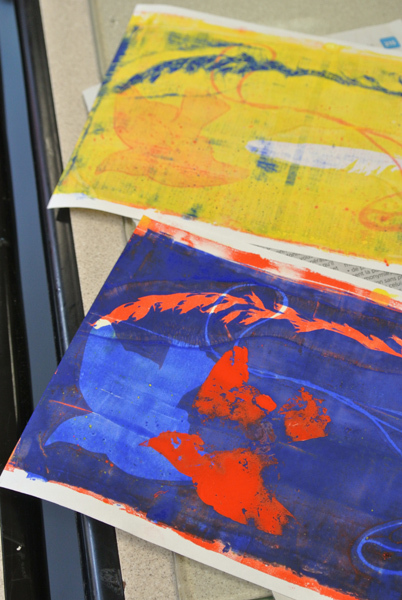 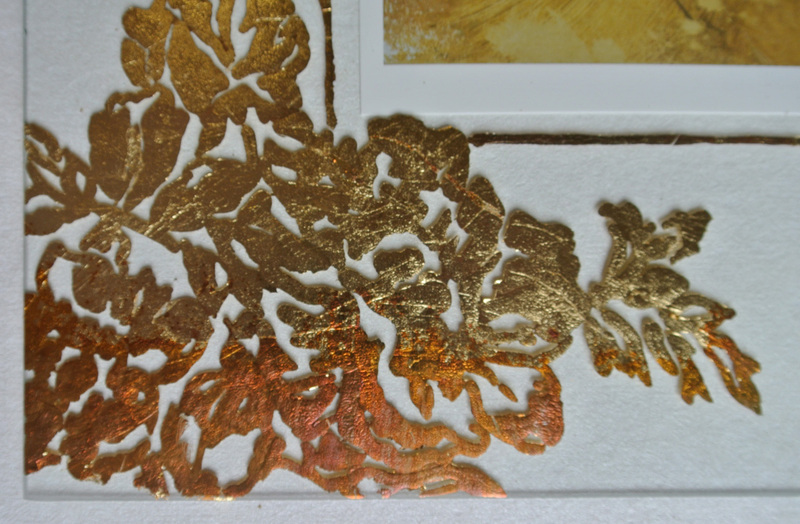 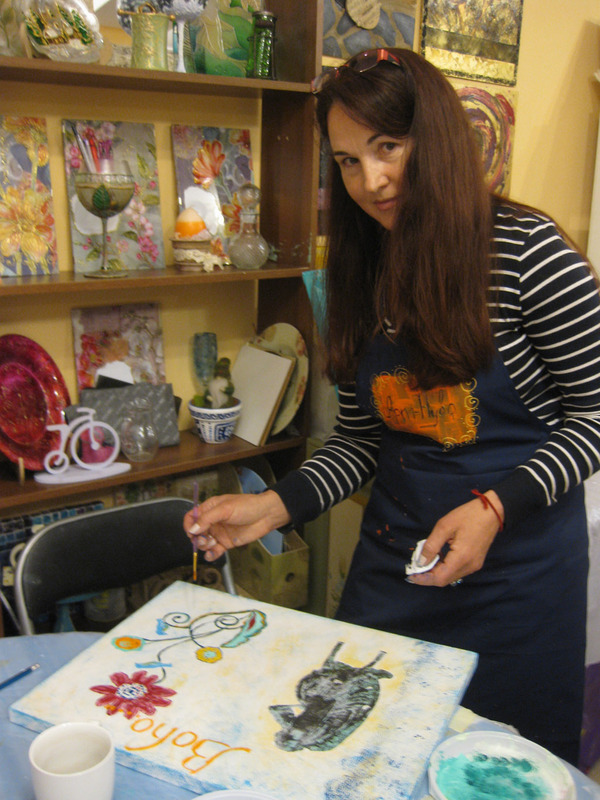 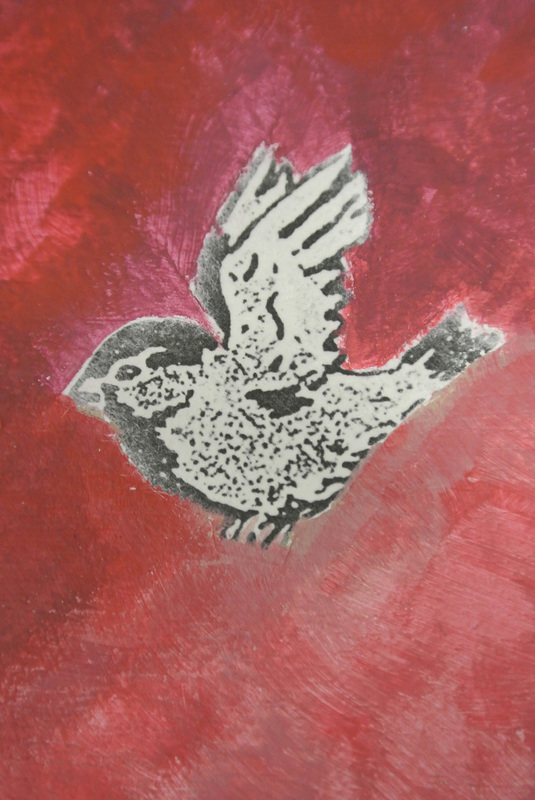 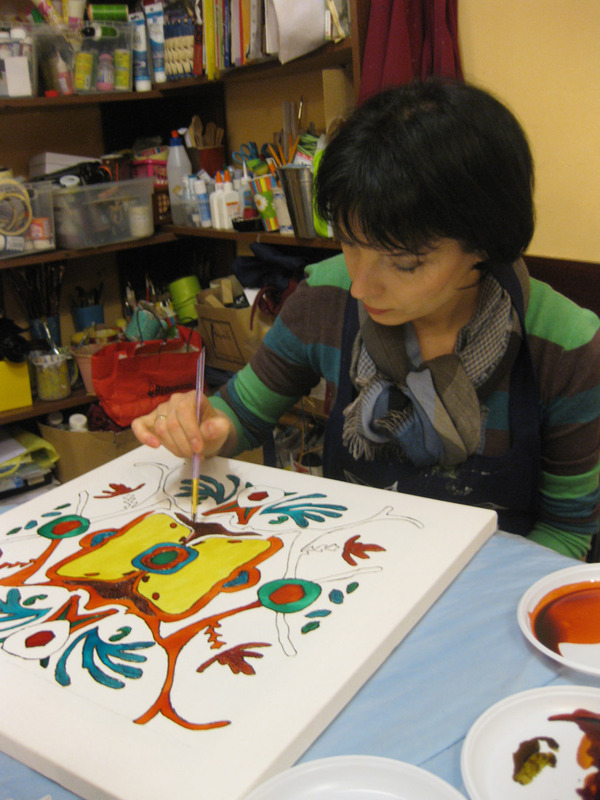 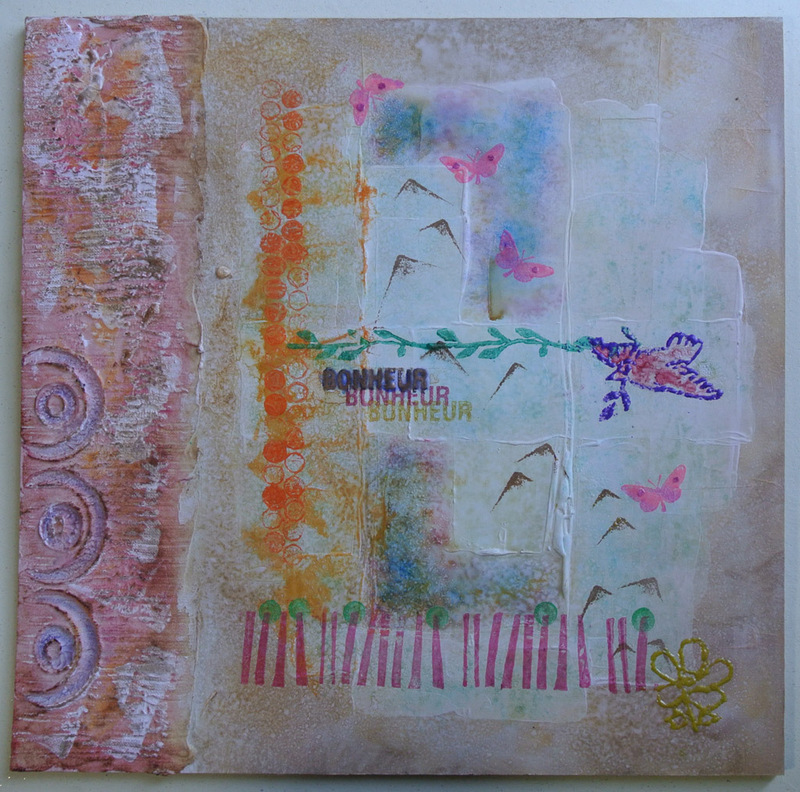 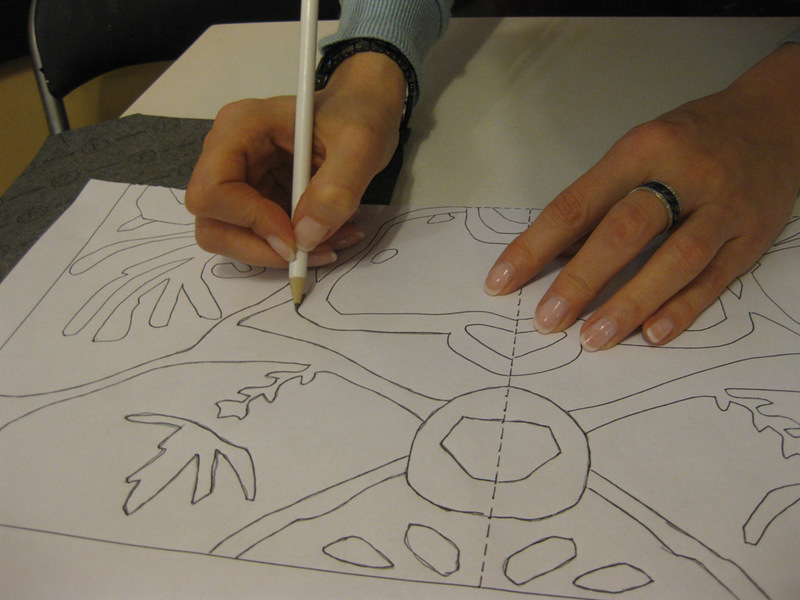 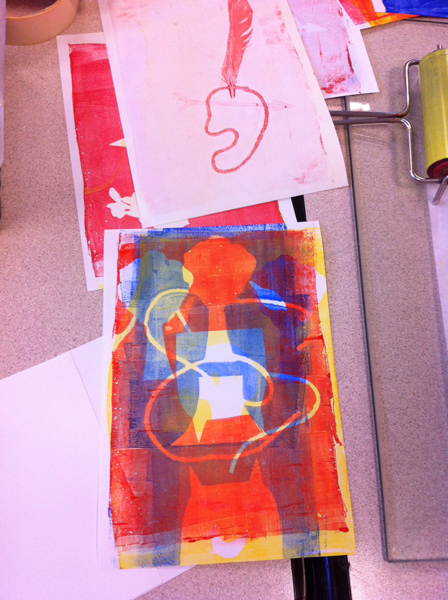 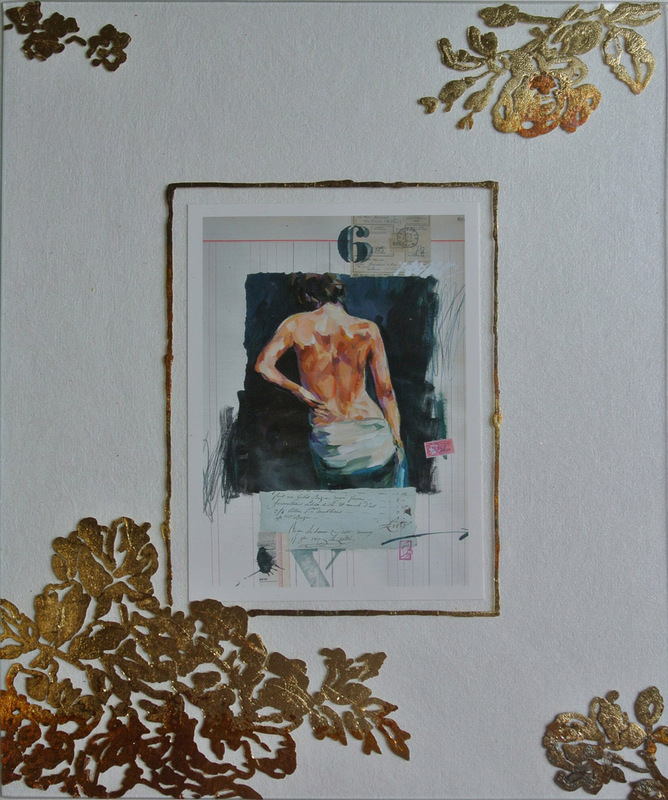 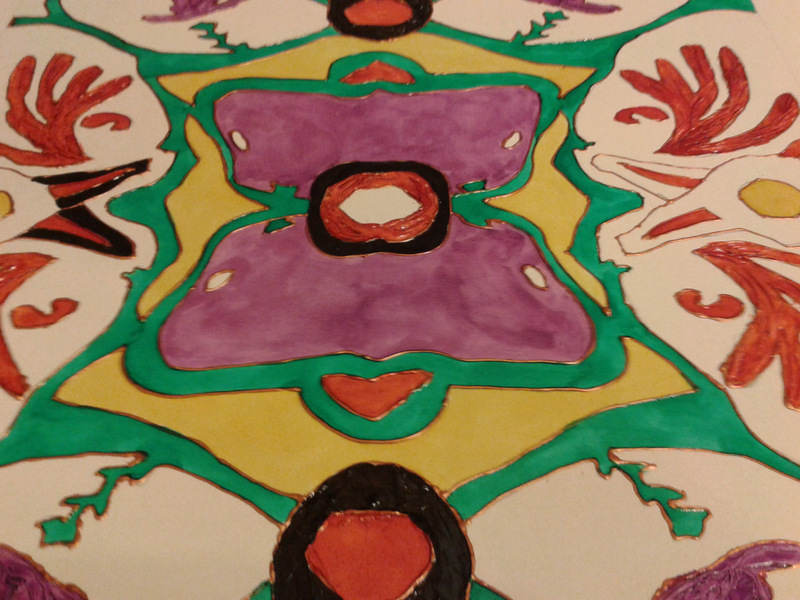 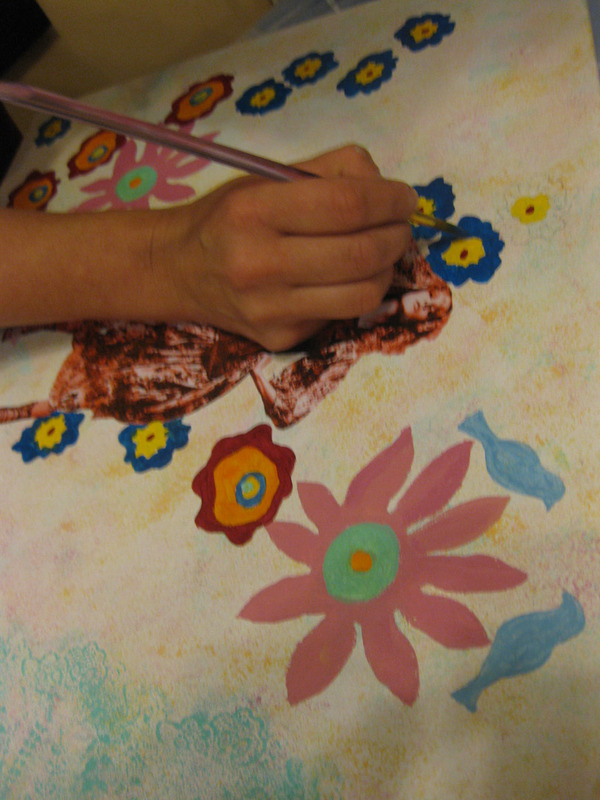 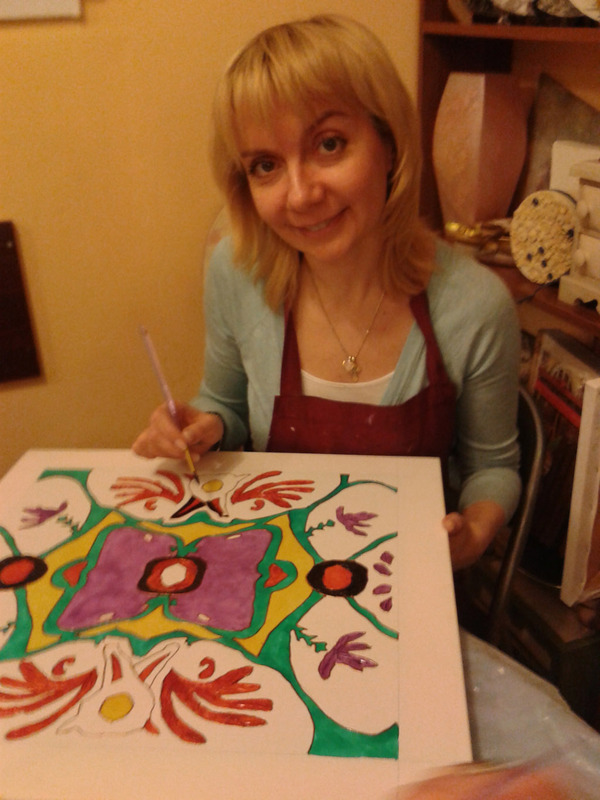 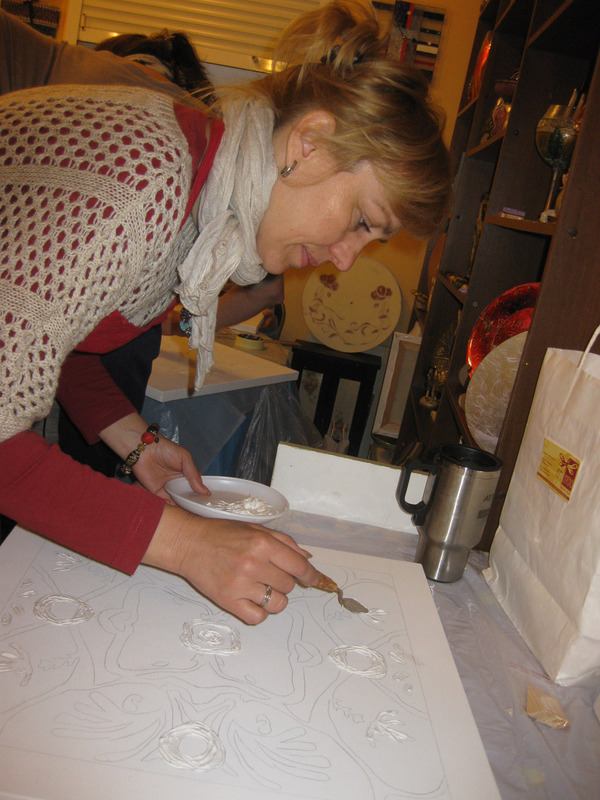 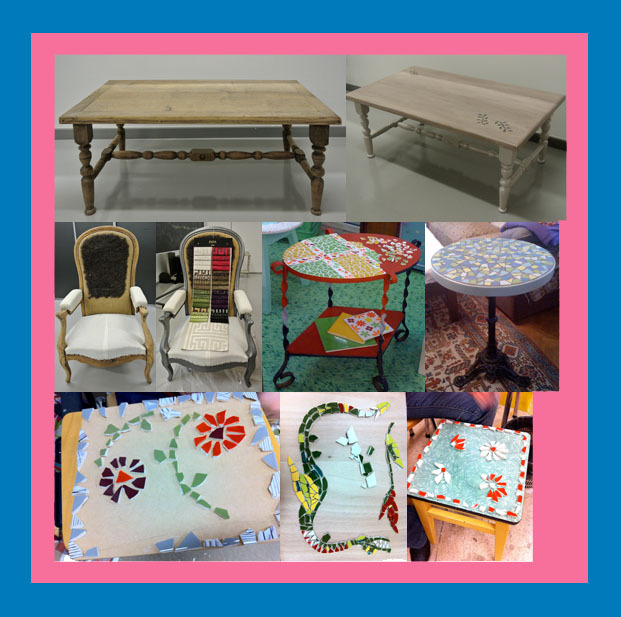 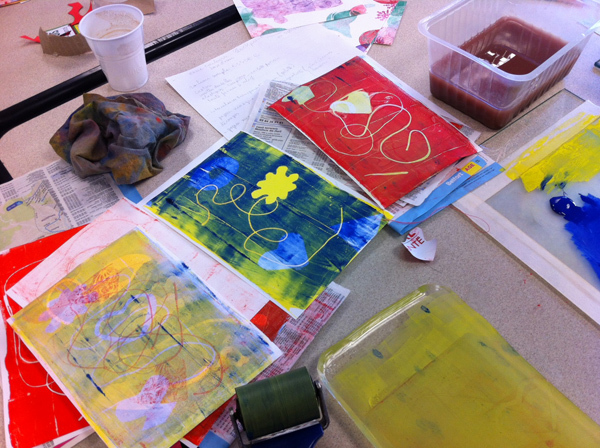 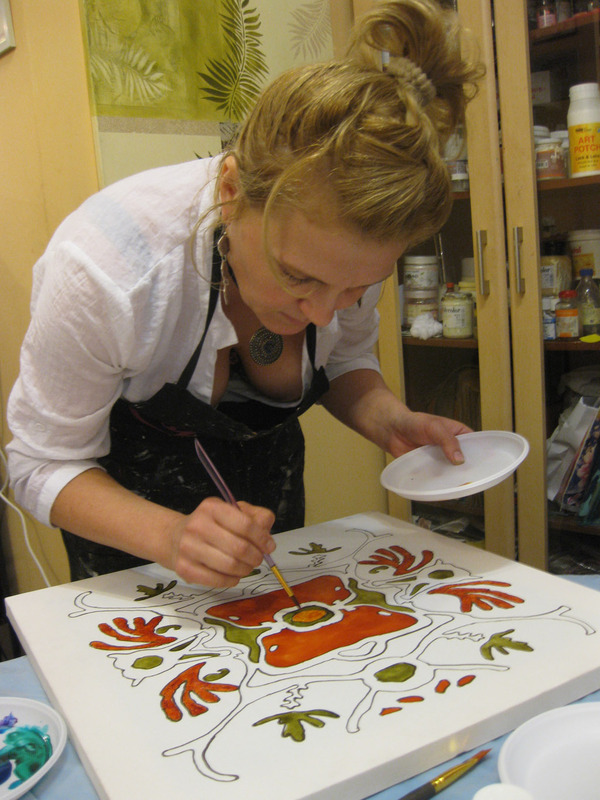 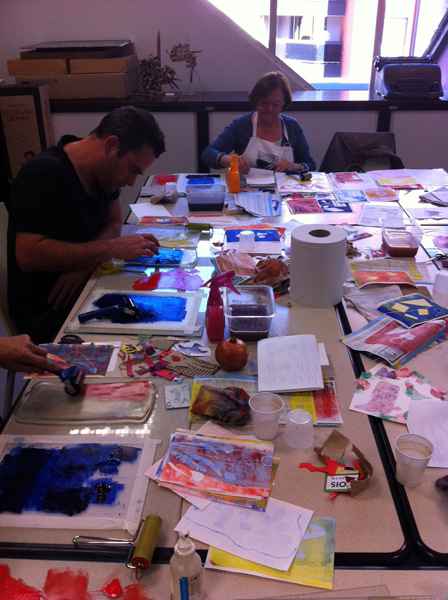 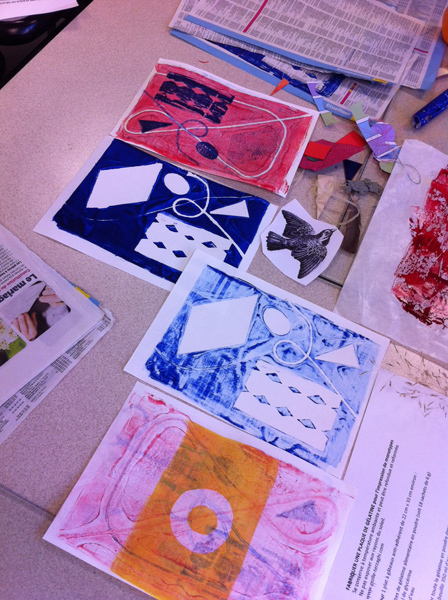 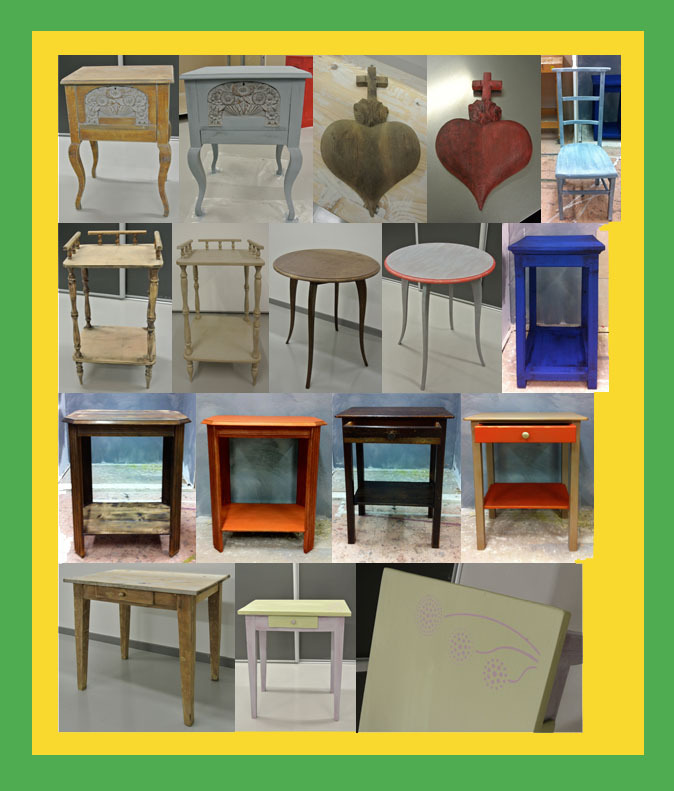 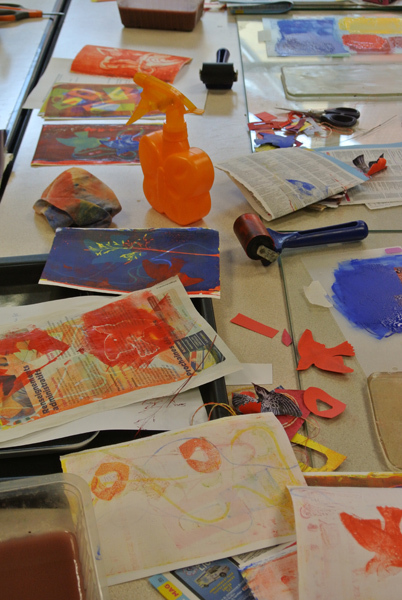 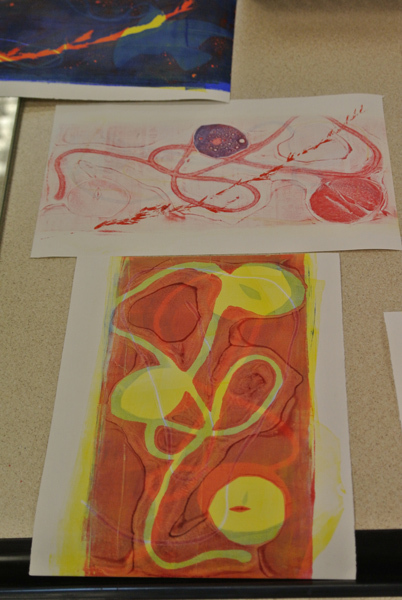 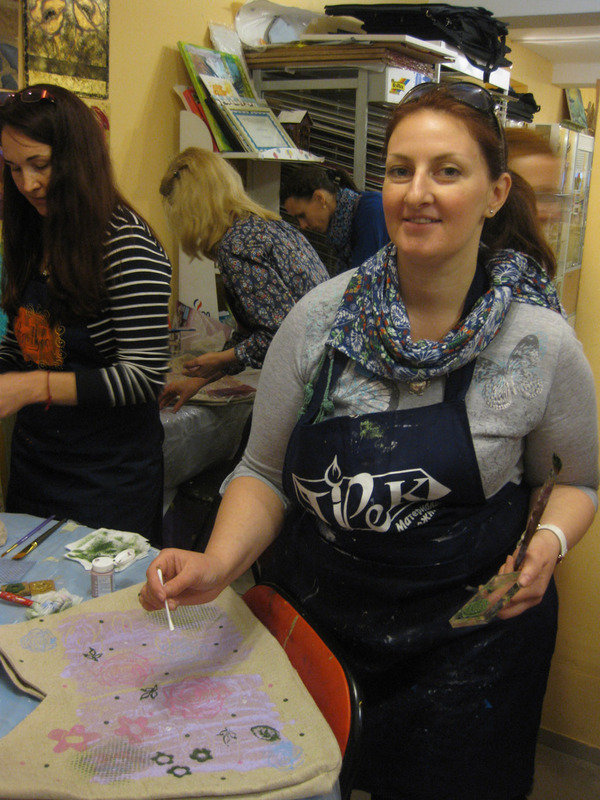 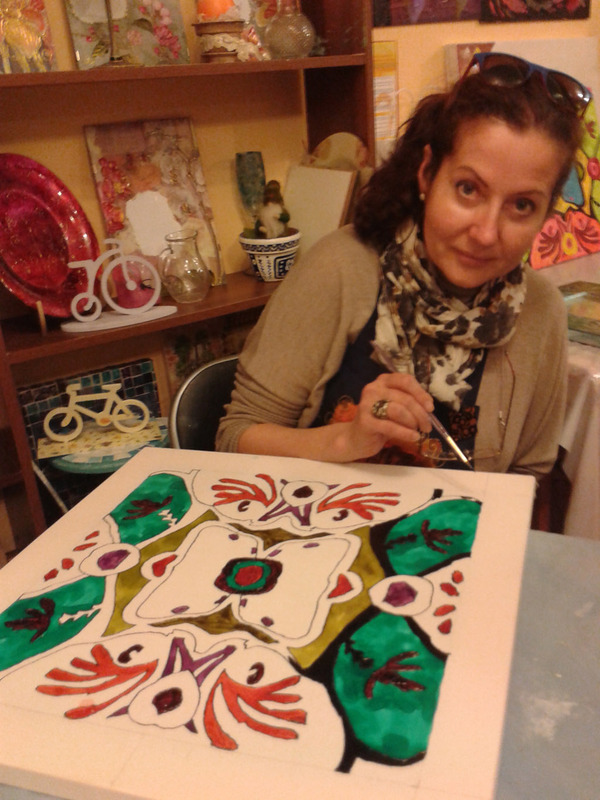 Mixed media workshop with gesso, modeling paste, inks, original rubbar stamp carving, gilding.